As a commercial litigator, Emmett provides his clients with creative, responsive and practical advice. By understanding his clients’ business and strategy, he helps them resolve and avoid disputes in a way that suits their needs. Emmett’s litigation experience includes complex matters relating to oil and gas, corporate transactions, media, real estate and employment issues. He has represented clients at all levels of court in Alberta, the Federal Court and Tax Court of Canada, administrative proceedings and in alternative dispute resolution. Emmett joined Peacock Linder Halt & Mack in October 2016 from a major law firm in Calgary. Major arbitrations involving contract disputes with oil and gas producers. Defamation trial involving civil jury and five expert witnesses. 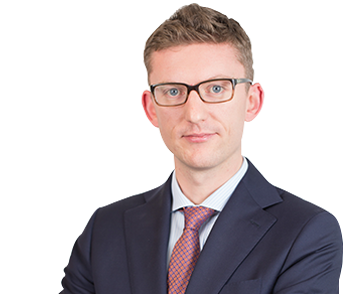 Court of Appeal decisions regarding contractual interpretation in the oil and gas industry. Judicial review in Federal Court regarding obligations of disclosure in an income tax dispute. Numerous summary applications in oil and gas, foreclosure, commercial leasing, professional negligence and product liability matters. Applications on behalf of a professional regulatory body for civil injunctions, restraining orders and declarations of contempt.